Protein is very necessary for our life and we all require it in proper amount in our food. It is an essential component of a nutrition and we need it from food since our body is not capable of synthesis it itself. It should be no surprise to find that deficiency of protein leads to various devastating effects on people’s health. Beef is the richest source of protein. It can be of various varieties such as liver, roasts, and steaks. Beef especially its variety liver provides 25 grams of protein in a 4 oz. serving. Liver additionally provides Vitamin A, Vitamins B, Vitamin C, zinc, folate, riboflavin, and iron etc. Beef can be cooked in various forms such as roasts or steaks. They not only provide flavor but also high protein. 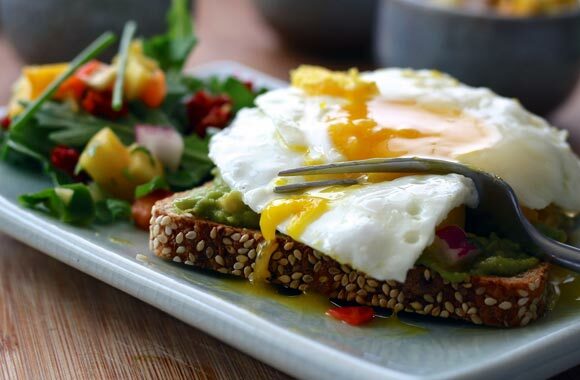 The egg is also a rich source of protein since it has eight essential amino acids in it. Its white part is specially enriched with proteins. There are seven grams of protein present in a large sized egg. Egg, in fact, contains complete nutrients. Not only proteins, it contains lots of other important vitamins. Here we get white meat from the birds such as turkey and chicken. These protein sources are especially good for those who do not like red meat. So all the protein needs can be provided by the chicken or turkey. Chicken provides around 30.91 g of proteins in 5oz. Chicken is very tasty and anyone can eat it. It can be cooked in various forms. Fish is another nutritious source that is also enriched with proteins. It can be eaten by those people who don’t like to eat meat or chicken. Its protein containing types are sardines, tuna, and salmon. The sardine fish contains omega 3 fatty acids along with vitamin D, vitamin B12, and selenium. Not only it is a protein source but it is also helpful in regulating cholesterol from the blood. These are pure forms only containing proteins. These are utilized by those people mostly who want to build up their muscle mass. There are numerous vegetables that contain protein in them. These include cabbage, broccoli, beans, onions, lettuce, spinach, cucumber, etc. Cereals and lentils are also great protein sources. Peanut butter is also a good supplier of protein. Peanuts itself provide you good proteins. Nowadays, it is easy to meet the requirements of protein with the help of fortified foods. There are various foods on the market that are fortified with proteins. Those persons who want to reduce weight yet remain healthy can take a protein diet. The protein provides enough energy to meet the body requirement, yet allow a person to lose weight easily. Rich protein foods are also helpful in making people feel fuller. This thing cannot be achieved by foods which are rich in fats or carbohydrates. Men need 55.5gram protein per day and women need 45gram protein per day.